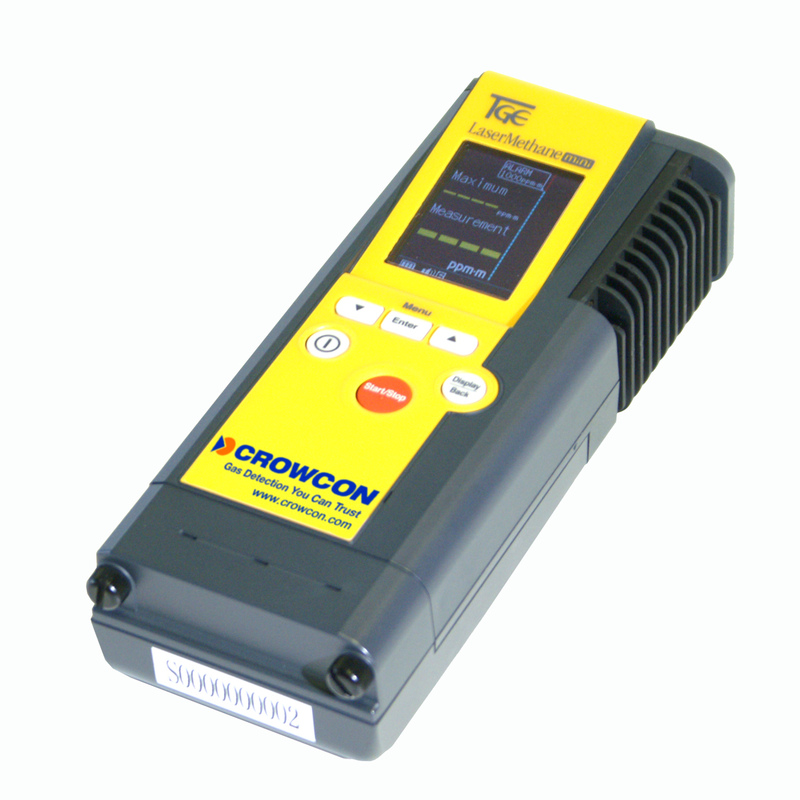 Erlanger, KY - Crowcon Detection Instruments has extended its agreement with the technology development arm of a major Japanese gas utility to offer the new LaserMethane mini methane leak detector throughout North America. The LaserMethane mini (LMm) is lightweight and compact, providing users with a long range instrument capable of detecting ppm levels of methane from a distance of up to 100 meters. Not just portable, but truly handheld, the LMm weighs only 600g and measures W70mm x H179mm x D42mm. With advances including automatic ranging, colour LCD, five hour battery, extended temperature range and IP54, the unit complements the previously launched LaserMethane Detector (LMD) and utilizes the next generation of Tunable Diode Laser Absorption Spectroscopy (TDLAS). ATEX approval allows the LMm to be used in Zone 1 areas for on-plant use as well as detecting escapes in hard to reach or inaccessible areas such as roof spaces, pipes crossing rivers or roads, and fenced enclosures. This means there is no longer a need for personnel to put themselves at risk by entering suspected escape areas. The LMm uses an innovative laser diode tuned specifically to the characteristics of methane, and the level of this one gas is then displayed on the ppm.m* readout. The instrument performs a self check on start-up and verifies the operation and calibration of the laser diode by referencing an inbuilt methane cell. This eliminates the need for expensive and time consuming calibration or the re-filling and transportation of hydrogen bottles associated with traditional FID based instruments. The use of natural gas, of which methane is the principal component, for both industrial and domestic installations is increasing worldwide, and Crowcon foresees applications in leak survey, transmission integrity, plant and facilities management, agriculture and waste management, as well as process engineering applications such as coke and steel production. Each of these areas have situations where access may be difficult, combined with the need to put personnel protection at the top of the agenda. Opportunities for the LaserMethane mini are substantial – put simply, it allows users to reliably detect methane at a safe distance. *ppm.m = parts per million meters. Unit of gas measurement showing the total amount of gas in the path of the laser beam between the unit and reflection point.